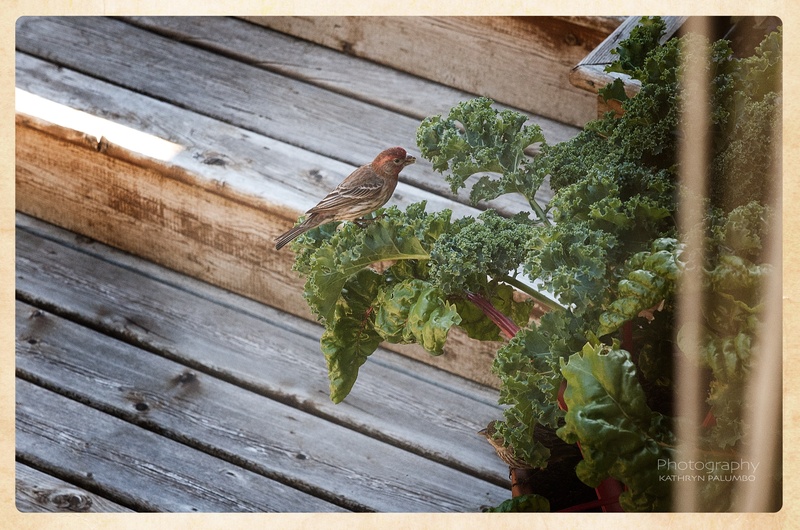 Collards, Kale, Small White Cabbage Butterfly – Oh My! With regular personal gardening sessions from the ‘beyond-green-thumb-talent’ at Victory Gardens, I’ve learned the growing part of an edible garden, and am knee deep into the harvesting part. 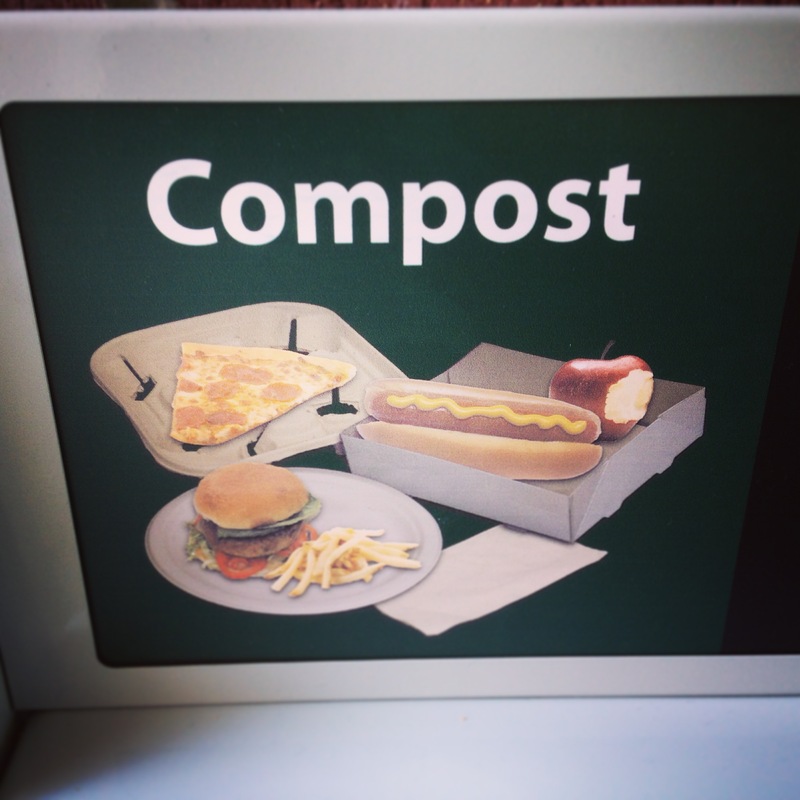 Once harvesting starts so does the regular maintenance and nurturing of the plants that are providing food. It’s a good idea to keep an eye out for pests that want to gobble up your greens while you’re away doing other things. Not quite so sweet, I have discovered. 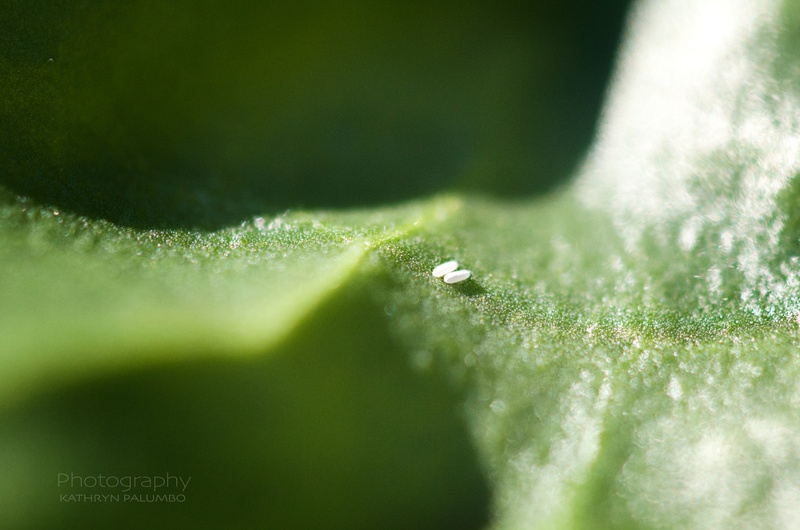 The offspring from the Small White Cabbage Butterfly is called an imported cabbageworm – meaning it’s not native to North America, and it does major damage to cabbage, kale, collards, and others from the Brassica (mustard) family. 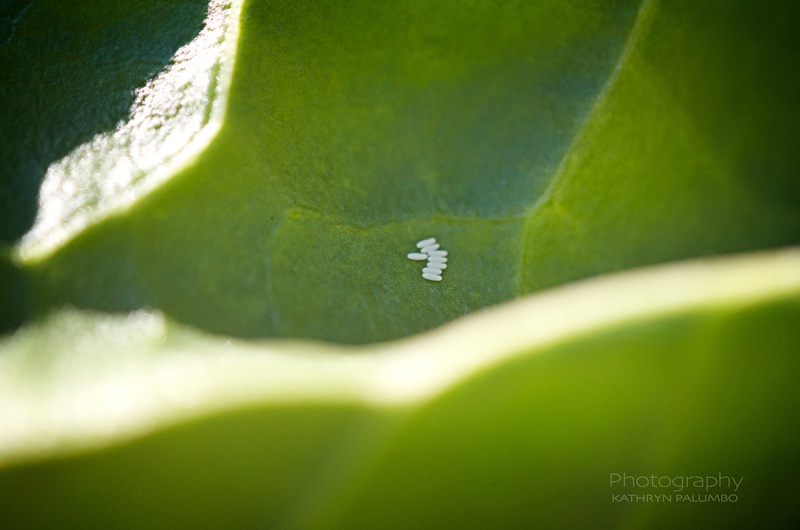 First, the lovely Small White Cabbage Butterfly visits the leaves and lays her eggs. This is what the egg sack looks like (see below; with size reference to a penny). If you don’t pick it off, then it will mature into a green cabbage worm (below). At most stages of the life cycle it is very difficult to see the cabbageworm on the underside of the leaves. Their size and colouring is their self-defence. 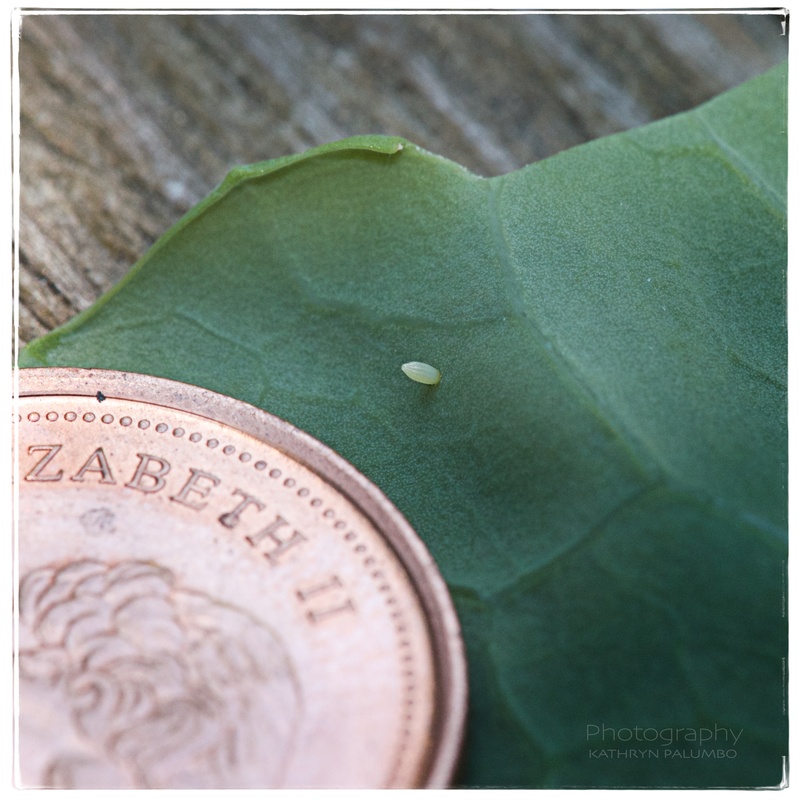 When you see the amount of damage one of these cabbageworm’s is capable, you would expect them to be very large (like the one pictured below). This is not always the case, so narrow your gaze and practice looking for very small. 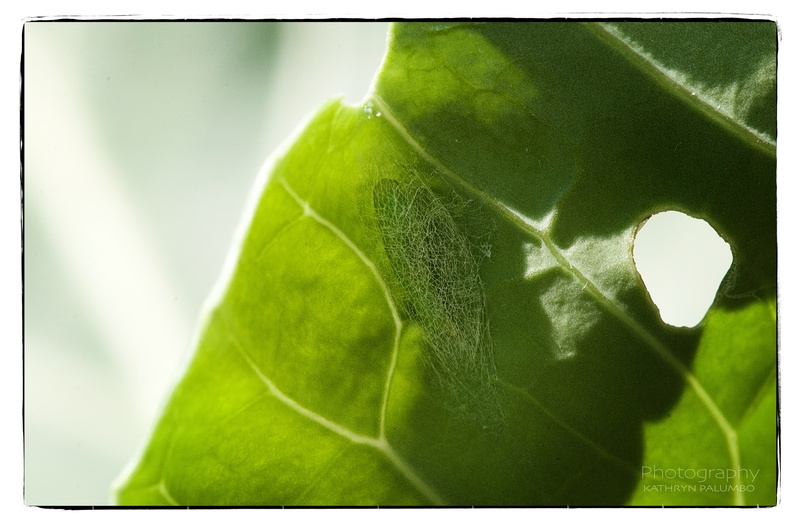 The image below shows how the cabbageworm, as it begins to pupate, has spun a silk pad, attaching himself to the underside of the collard leaf. In this state it is very difficult to see the metamorphosis. Luckily, I get unsolicited pest control from the birds that visit my garden. 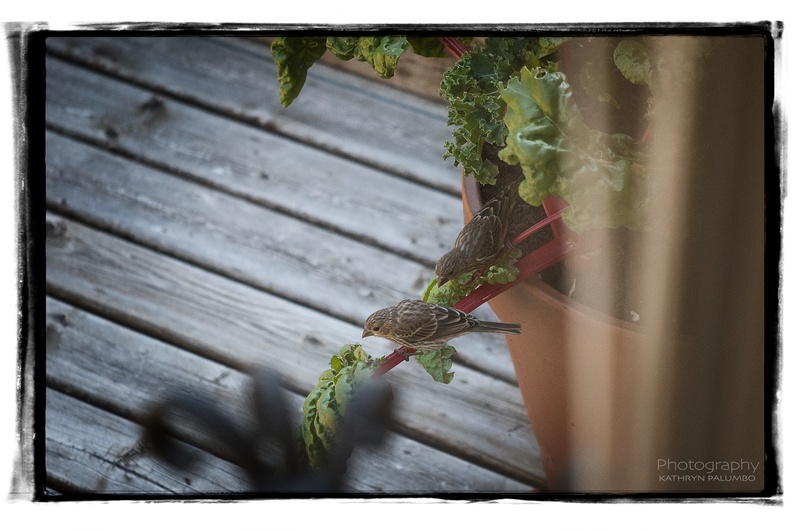 Lately, I’ve noticed more birds hanging around my Kale and Swiss Chard pots. I was wondering what they were doing…? Turns out they are my best helpers. It’s nice working cooperatively. Though I appreciate the beauty of all beings, I can be found discouraging the Small White Cabbage Butterfly from landing on my cruciferous vegetables. 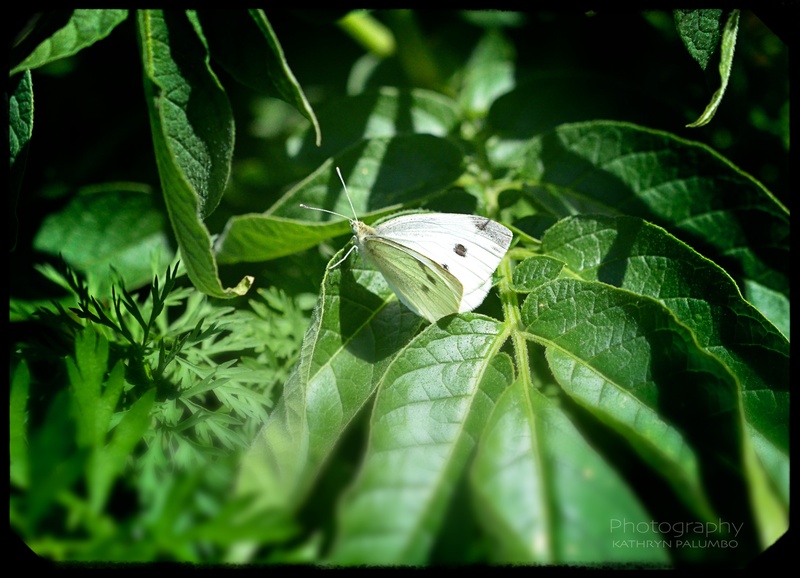 However, the Small White Cabbage Butterfly does do her fair share of pollinating various flowers. There is always good with the bad. And maybe the point is to understand, like in all areas, that balance is key. It is definitely a challenge to garden compassionately. I don’t like the idea of drowning insect pests because they all have a role to play in the balance of nature. And what to do with the eggs and cabbageworms that I remove from these leaves? 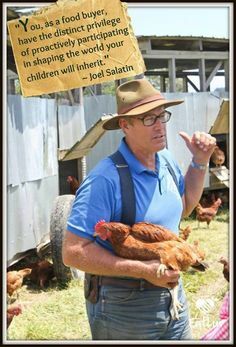 I decided that I might collect them in a bucket and deliver them once a week to the chickens at a local farm, (who provide us with nourishing eggs), unless the birds from my garden get their beaks on them first. Visit Wikipedia to read in greater detail and to see excellent photographs of the life cycle here. or here. Howe, William H.; editor, coordinating; al. ], illustrator & twenty contributors—contributors, David L. Bauer … [et (1975). The Butterflies of North America. Garden City, N.Y.: Doubleday. 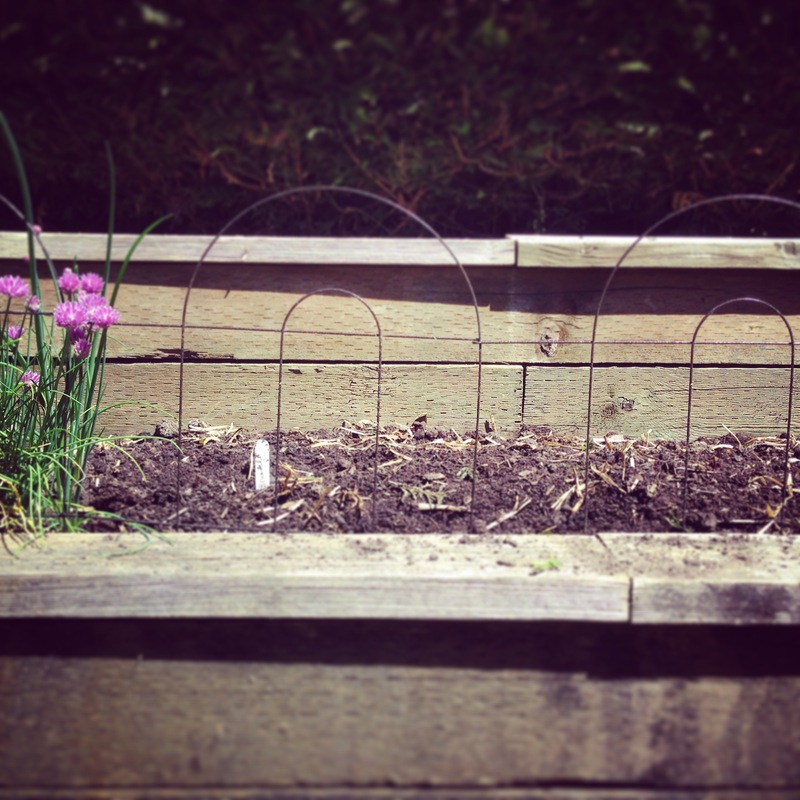 In the fall of 2014, I started planning to grow my own food. I knew that I couldn’t do it on my own, if I wanted to learn effectively in a short period of time, rather than through trial and error. I hired the expert edible gardeners at Victory Gardens in Vancouver for some one-on-one instruction. Now, it is May 2015 and I am already benefitting from their tutelage. 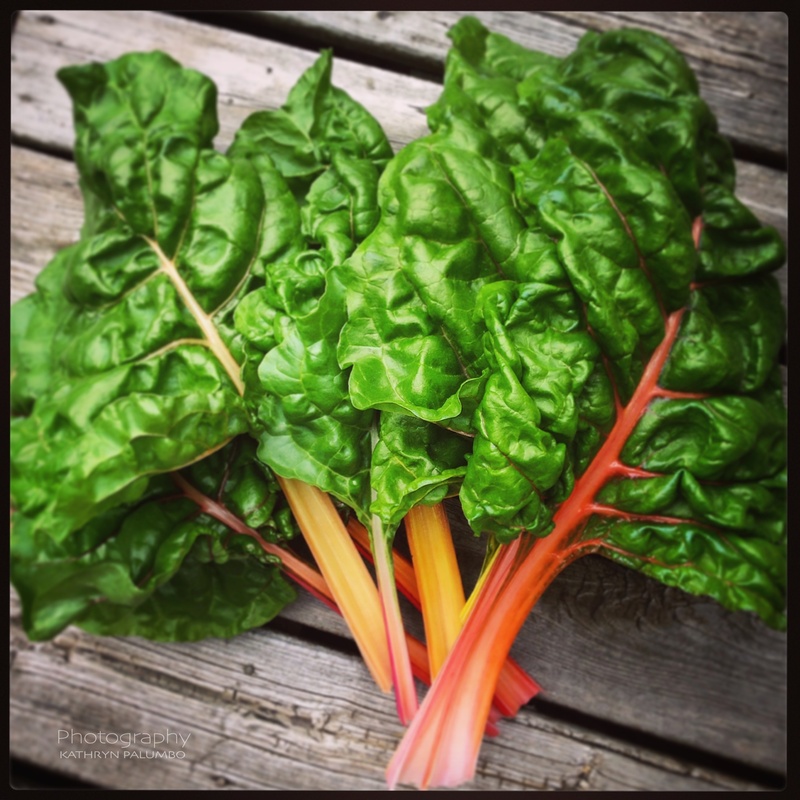 I have been harvesting beautiful greens for eating. 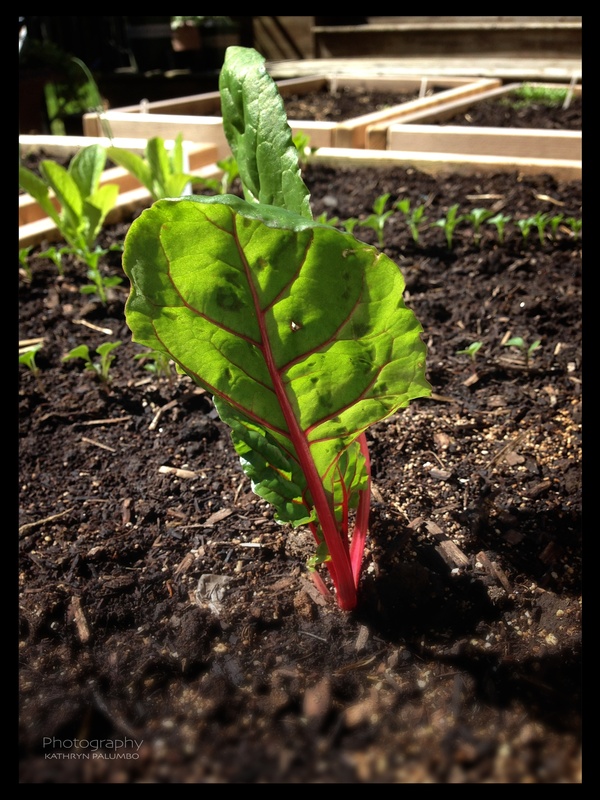 It is incredibly exciting to watch tiny organic seeds germinate into food producing sources of nourishment – all in my own backyard! 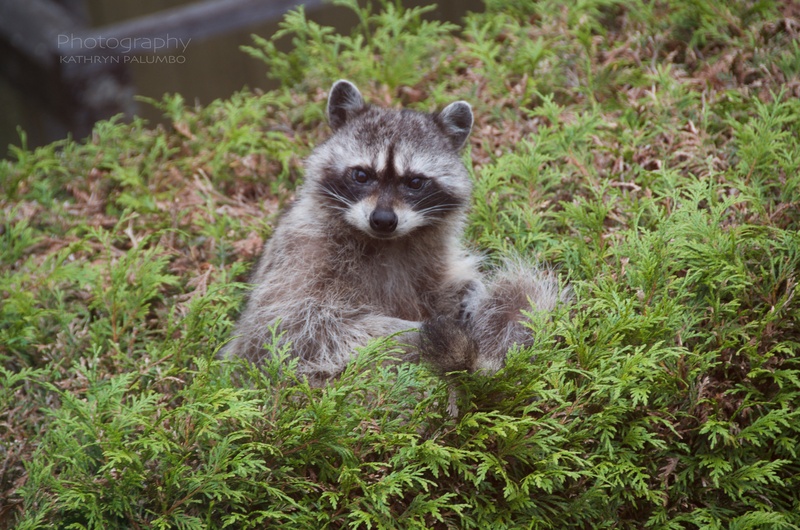 The only challenge to date has been our raccoon family, who we adore and happily share our hedges. 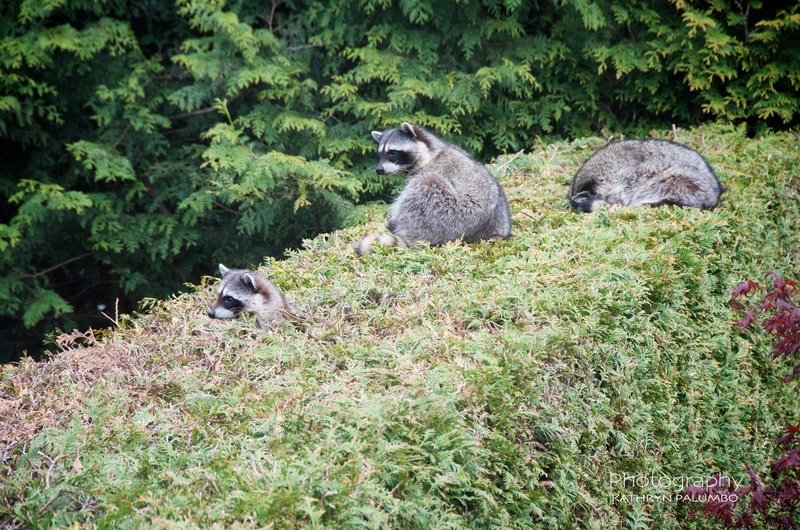 Some days the entire raccoon family can be seen sunbathing and napping on top of the hedge. Other times they pass through the garden in a cautious, delayed single file. The raccoons have not eaten any of my produce. 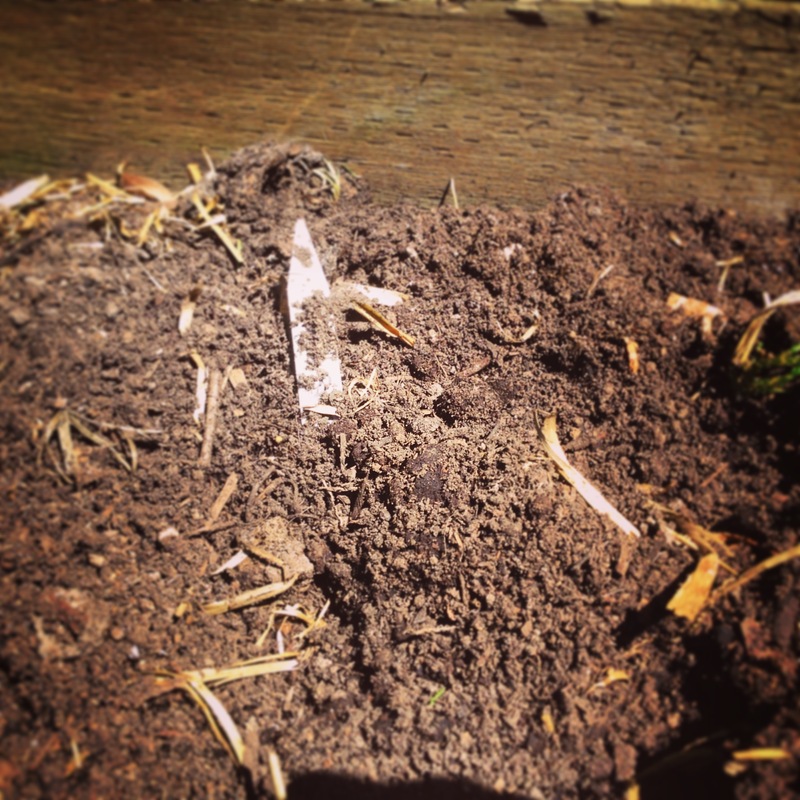 Though they did spend the winter digging up a portion of our lawn for grubs. I thought it was wonderful; they were aerating our lawn. My husband wasn’t amused and tried to discourage them with a wire mesh ground cover (no plastic allowed) and a motion detecting sprinkler, which mostly sprayed us – forgetful that it was on. Since the hunt for grubs has been over for a few months, the raccoons have now turned their attention to the gorgeous earth worm laden soil where I’ve planted my brussels sprouts and kohlrabi seeds. 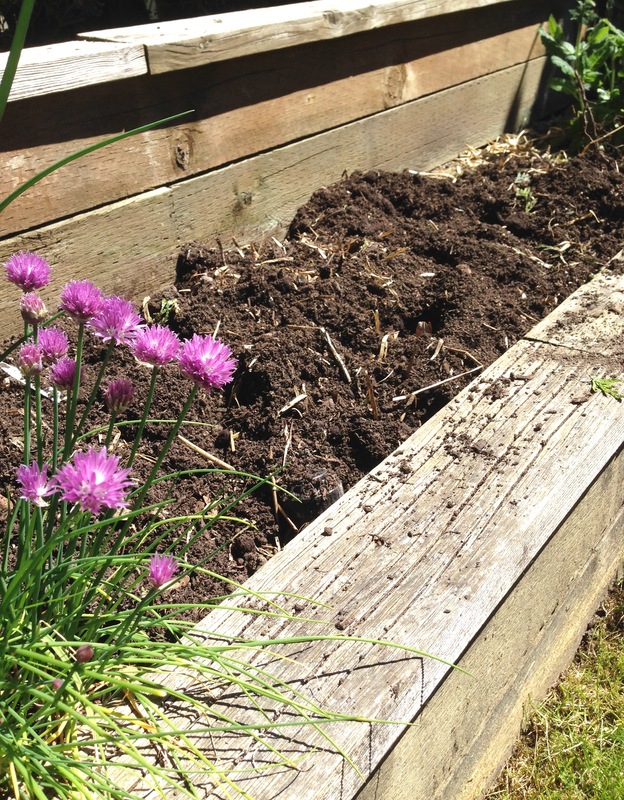 For the last four days, each morning I would be disappointed to find that garden bed completely upended. I put up a little wire fence to deter them. Hopeful. But it didn’t work. And the few little sprouts that were making their way to the surface were disturbed. I set everything right and planted a few more seeds. My husband, who is often in conversation with our seasoned and successful gardener-neighbour told me that he uses cayenne pepper. From my spice rack I pulled out the organic cayenne pepper and sprinkled some on the garden soil where the raccoons have been visiting. The next morning? Everything was left untouched and the little sprouts are happily growing. 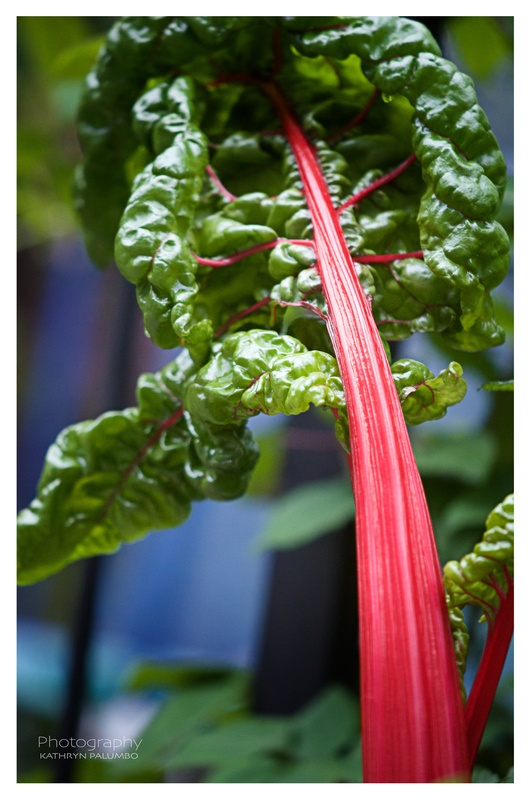 Here is a link to an article describing some natural options for deterring pests in the garden. 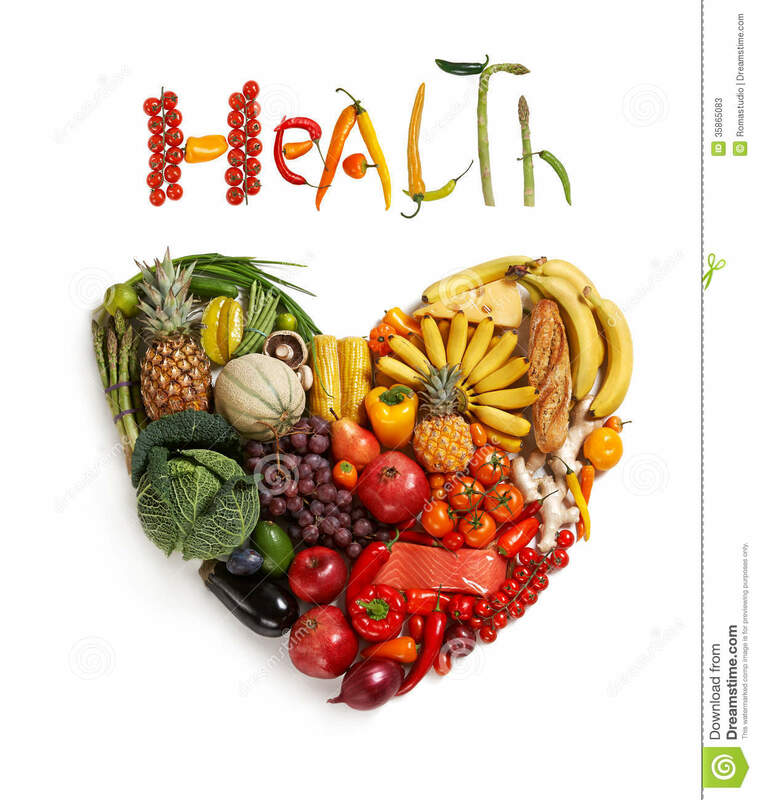 It’s a delicate balance because what deters the harmful insects and pests can also harm the beneficial. Yesterday, I chose to stand with thousands of people fasting for climate change on the first day of each month. My previous post explains my reasoning for participation. This post will explain how I did my first ever fast (on the first of October) and how I felt. I felt very well the entire day. Our household starts to stir around 6am every morning (except weekends, which is by 7am). I did my usual bed stretches and my current version of a 4 minute-morning. Made the kids their breakfasts and walked briskly with Dot to the bus. Got home and did household chores, and some on line research. I had been drinking a natural amount of water throughout the morning – about 8oz each hour. By 10am, I started to feel a faint request from my stomach for a morning snack; I acknowledged it with a smile and carried on. By 11:30am, I started to feel that rumbling, more like demanding for lunch. I kissed that demand with some hot water and started contemplating what other liquid would be acceptable for my rules of this fast. Tea came to mind but then I remembered that the previous day I had made a batch of beef stock. By 1pm I drank an 8oz glass of hot beef stock. It was the most amazing drink. The homemade beef stock nourished me; I felt like a wilting plant that stands to attention when given water, I could sense my very own cells responding in that way. I chose beef stock over herbal tea because, being naturally low on iron I would need something substantial to sustain a clear mind, as I was running out the door to run errands before picking the kids up from school. 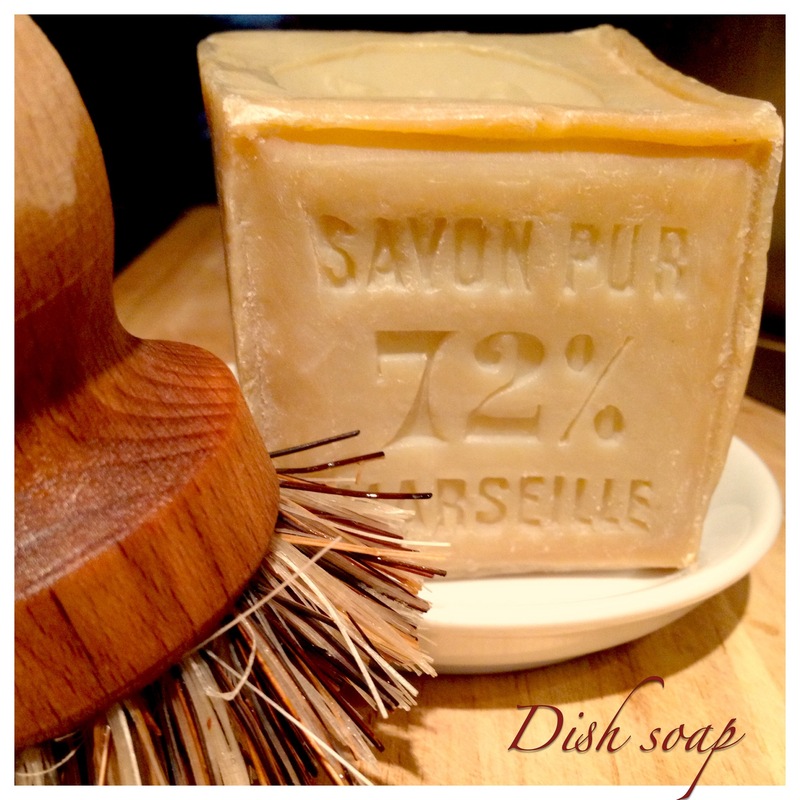 Shortly after 1pm I was out the door stopping at the Soap Dispensary to refill my liquid dish soap containers and got a great tip to try out a solid house soap for cleaning my pots – this soap will get it’s own post one day because it is remarkable. Photo below. Then to the sewing machine store, followed by the butcher to pick up stewing beef (in my Life Without Plastic stainless steel container) for my family’s Irish Beef Stew dinner, which I modified from this recipe, using the already prepared homemade beef stock. By 3pm I had picked up Dot from school then 3:30pm had picked up my son. Just before 4pm I was back in the kitchen preparing the stew and of course my timing was off so had to prepare something else for the kids’ dinner. UGH. Silver lining…we could have it for breakfast…which we did, and it was worth the wait! By 5pm I sipped another 8oz glass of hot beef stock. It was good. My husband and I had to go out to a school parent social organized for our daughter’s grade. There was a lot of beautiful food and drink laid out. I should have taken a photo to show you. I drank two glasses of sparkling water while I was there. The only negative effects I felt, was by about 8:30pm I started to get chilled, and started talking faster than normal. By the time we got home I began my wind-down-for-the-evening routine, including my “before bed stretches” then was in bed reading by 9:30pm and lights out before 10pm. I was wondering how I was able to get through the day the way I had. With zero cravings or near slip ups. The answer is simple. I have been re-training my mind over these last few years. I don’t nibble or nosh randomly or with abandon. And with yesterdays fasting experience, I have now discovered that I have actually learned something worthwhile from the years of this self-discipline around being selective with food. Because I have been methodically eliminating suspicious foods from my diet for fixed periods of time (over the last few years), I have learned how to go without. I have trained myself to make choices; I choose to eat with my mind and with intention for the nutrition of my cells, rather than for taste alone, instant gratification or because of a demanding gut or weak mind. I don’t mindlessly slip food in my mouth while I make the kids their meals, partly because I don’t usually eat what they eat. I don’t nibble at socials just to be polite or because I can’t resist temptation. There is no marketing which subliminally controls me. Be careful how you train. You reap what you sow.